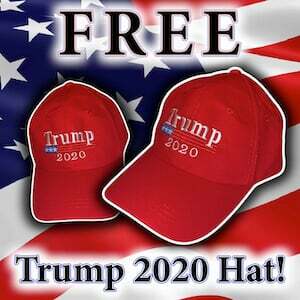 The Broward County Sheriff’s Office in Southeast Florida told The Gateway Pundit on Monday they are investigating the attack on Saturday against an elderly white woman who was body slammed and thrown into a pool by a black male when she complained about the loud noise from an outdoor pool party. A woman with the BCSO dispatch center told TGP a complaint had been filed the day of the attack, but would not comment on the condition of the victim nor would she say if anyone had been arrested due to the ongoing investigation. News outlets that have reported on the video of the attack that went viral have not been able to pin down a location. Internet sleuthing by TGP and others determined the party was organized by a promoter called BlockBoyz and that party goers were told to go on May 6 to 1233 SW 46th Avenue in Pompano Beach, Florida. That address is part of the Royal Poinciana Condominium. However a spokeswoman for the condo told TGP that while the address is indeed party of the condo complex, the pool seen in the video is not the pool on their property and the victim was not recognized as being a resident. The spokeswoman speculated the pool was at an adjacent property and that party goers were redirected to that pool. The account with the following Twitter URL promoting the address of the party was made private Monday afternoon. A different tweet by another person promoting the party address is still live. 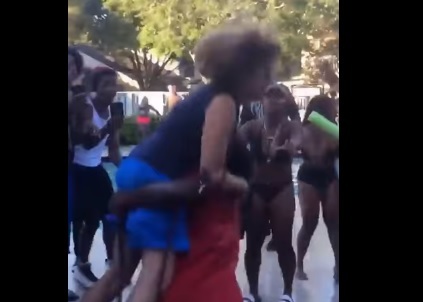 The Broward Sheriff’s Office is investigating after a woman is seen being assaulted and thrown into a pool after complaining about noise at a North Lauderdale party. Video shared on social media shows Nancy James, 68, entering the pool area at the Player’s Place apartment complex on Saturday with her two small dogs. James suffered bruises on her shoulder and leg, but refused to go the hospital. The Broward Sheriff’s Office is currently investigating the incident and looking to speak with witnesses. James declined to speak…” END UPDATE. 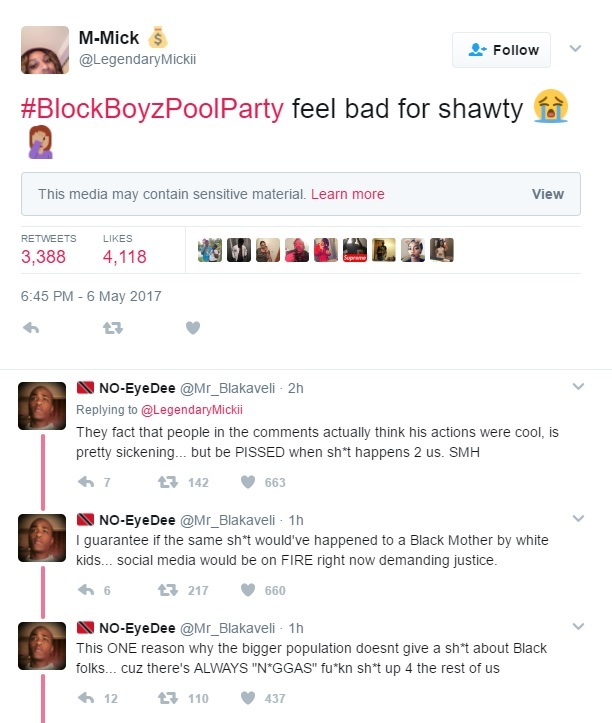 Video of the attack was posted online by @LegendaryMickii Saturday evening with the caption, “#BlockBoyzPoolParty feel bad for shawty 😭”, but was deleted and the account taken down after an online backlash. Screen image by TGP via Google Cache. The video shows a white woman walking with two small dogs on leashes held in each hand entering the pool party and complaining about the noise. 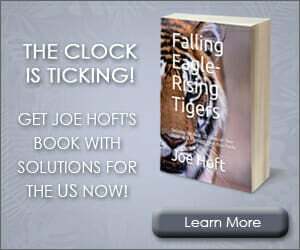 A female voice can be heard repeatedly screaming, “Throw her in!” Soon after a black male in a red shirt picks up the woman and slams her on the concrete patio. He gets up and carries her to the edge of the pool and throws her in. He falls in with her. During the attack the woman loses her grip on the leashes and the dogs break free before she is thrown in the pool. 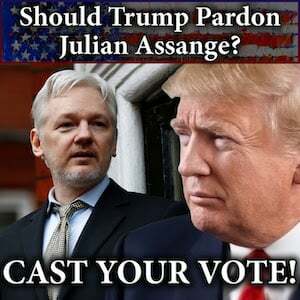 The video was copied all over social media and was initially picked up by conservative media outlets, followed by British media and finally mainstream US media. A second video of the attack was posted but was also taken down. 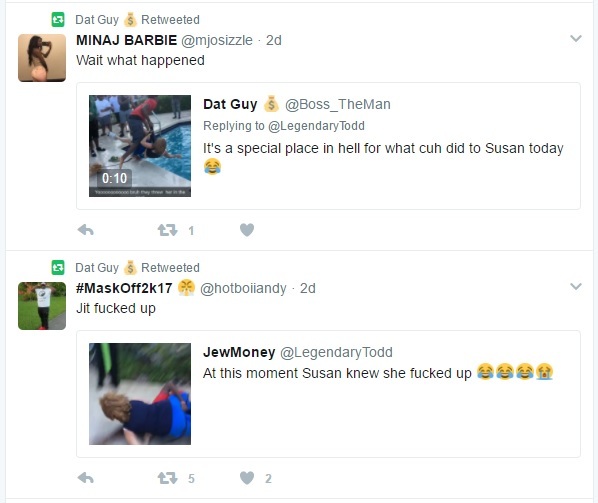 The cached image of the tweet of the second video shows the poster joking about the attack, “There’s a special place in hell for what cuh did to Susan today” followed by the ‘tears of joy’ emoji. ‘Susan’ is nickname given the victim by the pool party mob. Her real name is not known. The second video apparently was posted and subsequently deleted by @LegendaryTodd who posted a screen image of the victim being body slammed along with a mocking comment, “At this moment Susan knew she fucked up”, followed by several ‘tears of joy’ emojis. That tweet was also deleted. A copy of the second video was made and reposted. The party had been promoted for several weeks with the location to be given out right before the party. Judging from this photo from July 2016, it appears that this location for a BlockBoyz pool party is the same as the party held on May 6.